Our Shabbat service is held on Friday beginning at 7:00pm. It is followed about 8:00pm by an Oneg Shabbat: light snacks and sweets, conversation, and camaraderie. Be sure to check the calendar for any changes. Just as Olympic athletes include changes of pace and periods of rest in their training regimen, Shabbat Services at Temple Beth El give you an opportunity to pause from the demands of the week, take a breather, and reflect on those issues that always seem to be crowded out of your daily schedule. Enjoy the familiarity of a bit of traditional ritual spiced with some newer musical arrangements, prayers for our times, and sermons about applying timeless truths to the modern world. Services are a “team” effort, with our Rabbi assisted by our delightful choir, invited speakers, and congregational participation (including services led by our Sisterhood and our Youth). Our prayer book is the Mishkan T’Filah: a mixture of English and Hebrew with transliterations. Fluency in Hebrew is not necessary or expected. There is no formal dress code for services, although we do ask that your clothing reflect your respect for the special nature of the sanctuary. Children are welcomed – and encouraged – at all services, but we also offer child care during services. Guests (Jewish and other affiliations) are also welcome – you don’t have to be a Temple member to drop in. At the Oneg, you’ll be able to sample the sweet creations of some of our members, catch up with old friends, and make new ones. Talk with people other than those whom you see every day during the week. Enjoy a relaxing change of venue from school, home, work, or extracurricular activity marathons. At Temple Beth El we strive to make Shabbat welcoming, supportive, and calming but engaging. Please stop by and join our community for a little Shabbat Tikkun Olam – repairing the world. Start by making your own little piece of it more fun and fulfilling. 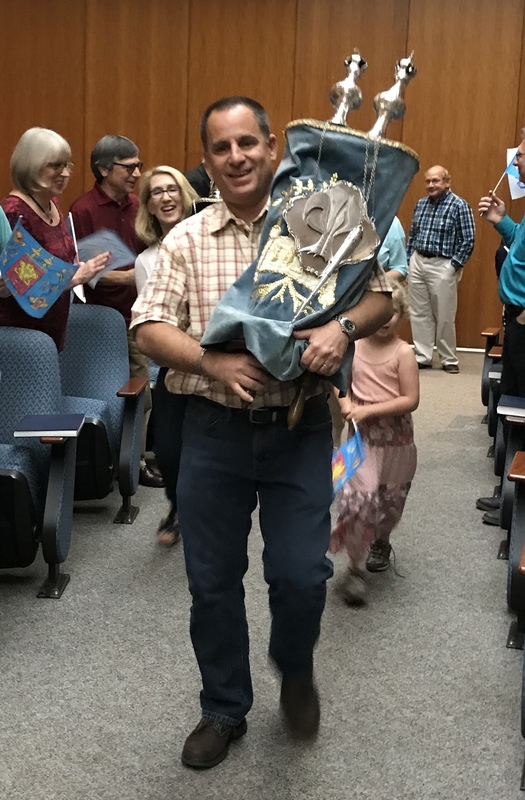 We also periodically have the opportunity to observe and participate in the special coming-of-age ritual of b’nai mitzvah. These Shabbat services are significant events in the lives of students and their families, and are particularly special in the outpouring of love and support from their friends and our community. This is a mitzvah that we can each perform, as all of us are important participants in this rite of passage. We always look forward to sharing the experience as we pray together and offer mazel tov to our newest Jewish adults. For these occasions, Friday evening services are held at 6:00 PM. The Saturday morning services begin at 10:30 A.M.